(Oregon Coast) â€“ This big weekend means the summer is just starting to mellow out for some; for even more it means summer is grinding to a halt. Labor Day Weekend means big things: a large amount of things to do, big fun, big crowds and even bigger prices. Itâ€™s a mixed bag of a bevy of beachy good times and things to look out for. Weather Advice: The big rule for the coast almost any time of year: take along a change of clothes or two. Even though coastal weather is heading into the famed (but still secret) â€œsecond summerâ€� â€“ the early fall period when the coast is at its warmest â€“ things can still be considerably more chilly than inland. Countless trips have been ruined by someone in the car dressed down for hot valley weather, only to hit the cooler temps and/or drizzle of the coast, and freeze the whole time, or complain about how theyâ€™re freezing. They should have come prepared for cooler weather. So should you. Bring a warmer change of clothes. In fact, if youâ€™re goofing around the sand and fall in a tide pool or a creek, youâ€™re going to wish youâ€™d brought along an extra pair of pants or something. This happens a lot easier than you think. Even if youâ€™re just making a day trip, bring along changes of clothing in case of colder weather or falling into water. Whatever you do, make sure you bring along more than one pair of shoes and socks. Itâ€™s way too easy to get these wet â€“ and they usually stay that way for a whole day. Youâ€™ll most certainly want to wear sandals or flip-flops while bouncing around the sand. If youâ€™re going to explore rocky tidal areas, bring shoes that stick well and donâ€™t slip too easy. Itâ€™s likely what youâ€™ll be doing is some kind of climbing, at least in a minor way. Tennis shoes are best for these areas. Always be careful of extremely slippery areas on the rocks, usually found on green spots near the tide. These green areas should be a red alert for you: itâ€™s extremely treacherous while wet. Falling on your back or head here is especially risky business, especially if youâ€™re close to the water. Traffic Warnings: Tourism on this weekend is good cause for safety reminders. With many more on the road, youâ€™ll need to leave earlier and give yourself more time to get there. See the Oregon coast traffic conditions for up-to-the minute issues, if any. The roads to the region, like Highway 22, Highway 18 and Highway 26, will be packed with other cars and more heavily patrolled by police. Be very cautious of your speed â€“ not just because itâ€™s the smart thing to do in such traffic, but police saturation is heavy and sometimes sneaky. Itâ€™s doubtful youâ€™ll see them in time to slow down. There are numerous sting spots to look out for: just east of Hillsboro on Highway 26; the big rest stop halfway through the coast range along Highway 26; various gravel pull-offs along Highway 26 and Highway 18 in the coast range; the double-lane areas along Highway 26 in the Saddle Mountain area; Highway 18, just east of McMinnville. Lincoln City often has heavy patrols in both directions of traffic. A simple rule of thumb: cool it on these roads. The BIG Traffic Warning: Usually, the Sunday or Monday of the weekend means a huge, staggering exodus from the coast, with everyone leaving the same time. Traffic can be backed up for miles. Folks often leave in the late afternoon, just before sunset. Itâ€™s advisable to leave right after sunset, or even wait a bit, and drive home in the dark. While itâ€™s harder to see and less relaxing than the usual trip back, itâ€™s sizably less stressful than sitting in traffic an extra hour. Drunkards & Driving Donâ€™t Mix: There isnâ€™t any excuse for this no matter where you are, but the penalties can be worse on the coast. 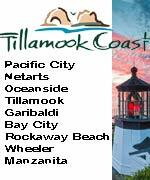 Tillamook and Lincoln counties take your car away automatically. Besides, most coastal towns have their bars well within walking distance of lodgings â€“ like Seaside, Cannon Beach, parts of Newport, Yachats and Manzanita. 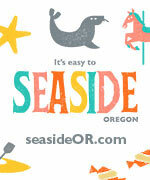 There is excellent cab service in Lincoln City, Seaside and Newport. Lodging Caveat: Lodging prices hit their summer peak on this weekend, and many will take advantage of the greater need and have unusually high prices. Thatâ€™s no fun, but it happens. The best way to ensure not getting gouged is reserving your lodging well ahead of time. BeachConnection.net has a good and varied list of suggestions here. Youâ€™ll want to do this soon. Many lodgings have told Oregon Coast Beach Connection they are already filled up for that weekend, so some will max out very soon. Donâ€™t make your reservations later than a week ahead of time. For those wanting to go camping: time has probably run out already for most coastal campgrounds. These are typically reserved for Memorial Day Weekend and for Labor Day Weekend months in advance. But it is worth a try â€“ if you do so immediately. Some RV parks on the coast have tent sites, such as Sunset Landing near Lincoln City. Coastal Secrets Given Away: If you want great, even fantastic lodging and dining deals, no crowds and practically zero traffic, at a time when the weather is likely to be stellar: go just after the big weekend. 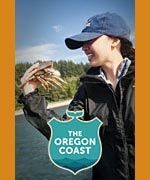 The period of September and early October is the Oregon coastâ€™s â€œsecond summer,â€� where the temps are at their highest, winds are at their lightest, crowds begin to drop off bigtime, and lodging prices often begin to dive. Granted, this is what is called the â€œshoulder season:â€� the time between the busy season and the late fall, when things can still be quite busy on weekends. Weekdays, however, present incredible possibilities; with far less traffic on the roads, plenty of deserted beaches, and temperatures will often be in the 70â€™s, if not 80â€™s. Itâ€™s about as tropical as the coast gets. In essence, if you don't feel like hitting the coast on this insanely busy weekend, the best of summer on the beach is still to come. Just wait a week.